In some ways this entire year has been about creating opportunities for wonder. Feeling weighed down by a life that was not fulfilling me, we changed everything, risked everything, sold our stuff, and set out for a year of travel and exploring the world. Now half way through our adventure, we've explored the deserts of Arizona; drank too much under the Vegas fluorescents; been eaten by bugs and stung by jelly fish in a sleepy sea-side Mexican town; wandered the cobbled streets of Puerto Vallarta; spent a glorious month in Vancouver; drove through the mountains from Vancouver to Saskatchewan; explored Sydney, Melbourne and the Great Ocean Road; and have spent the last two months falling in love with the strangeness of Japan. Every new place brings with it a sense of being lost woven with an overwhelming sense of amazement. 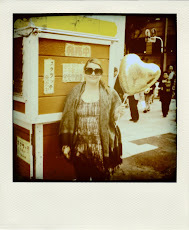 There have been countless moments where I've the words "Look at where I am!" surprise and root me to the place and moment and for a short time I am completely and happily where I am. 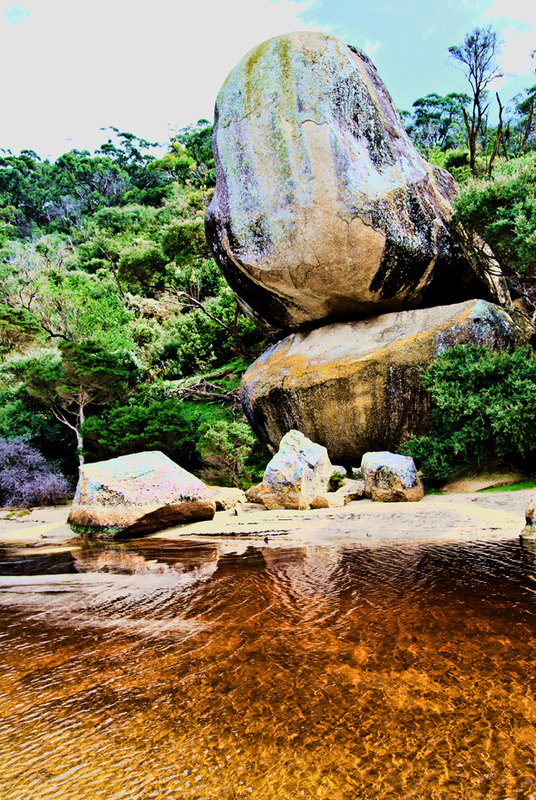 The image above was taken in Wilson's Promontory in Australia. The water is brown because there is a plant in it that actually turns the fresh water to tea. Yes, tea! I think that's wonderful.